14 February 2019. 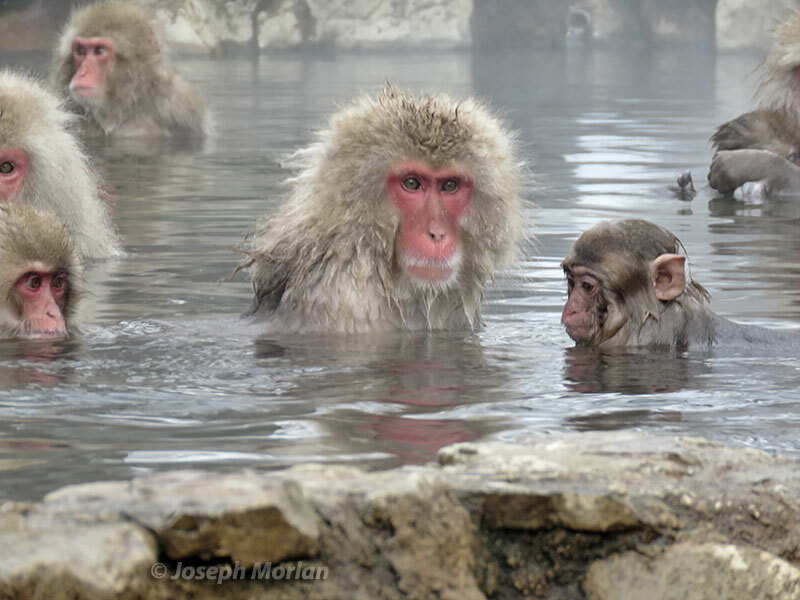 Yamanouchi–Jigokudani (Hot Springs / Snow Monkey Park), Nagano Prefecture, Japan. 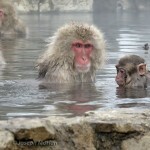 Sometimes called “Snow Monkeys,” these are the northernmost wild population of non-human primates in the world. 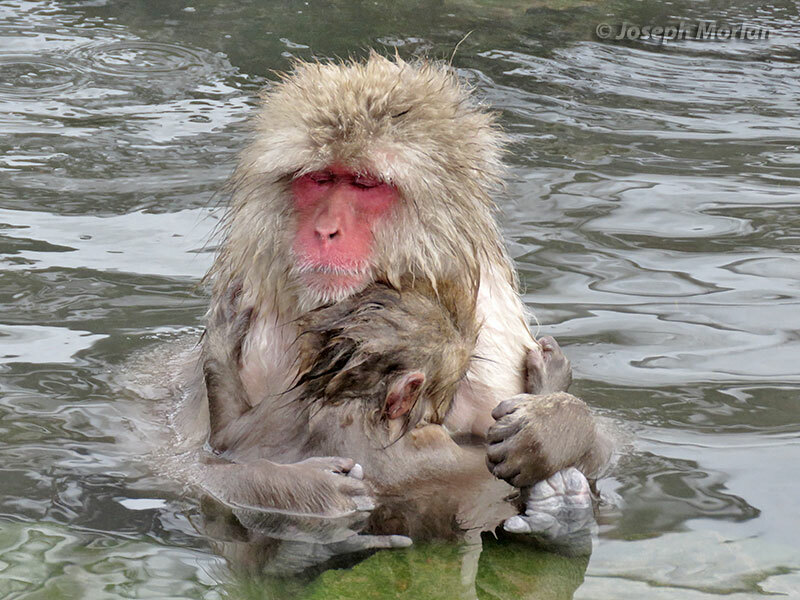 Their thick fur allows them to tolerate winter temperatures as low as -20° C. Here a female is cradling her infant at the edge of a hot spring. 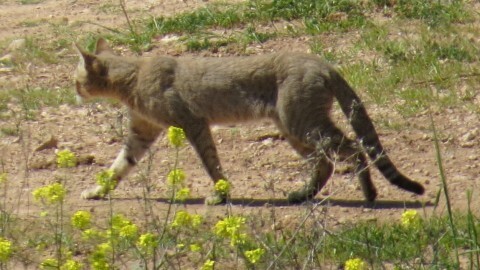 Two subspecies have been described. 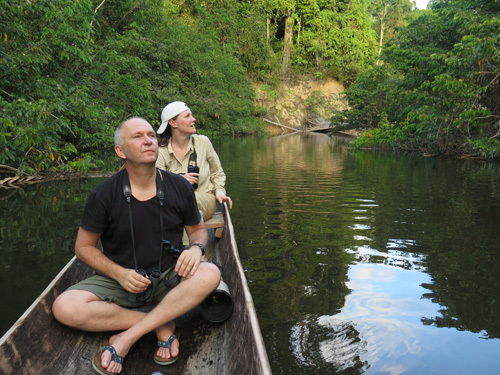 These are the nominate race found on the main islands. 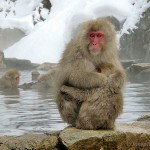 Another race characterized by brown fur and smaller size is restricted to the island of Yakushima. Canon PowerShot SX60. Gron KJ. 2007 April 26. 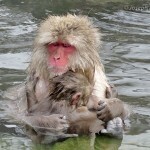 Primate Factsheets: Japanese macaque (Macaca fuscata) Taxonomy, Morphology, & Ecology . 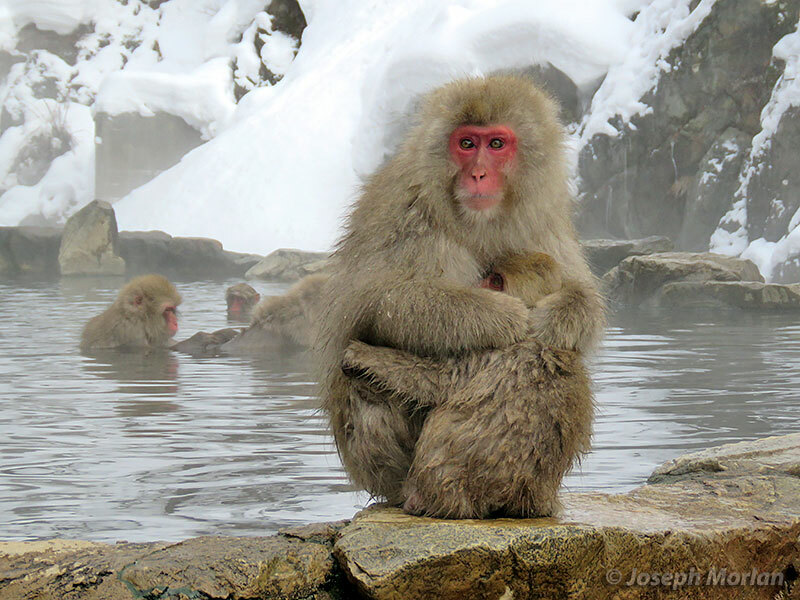 <http://pin.primate.wisc.edu/factsheets/entry/japanese_macaque>. Accessed 2019 April 11.